The largest vessel in the Alaska Marine Highway fleet will be late to return to service this summer. 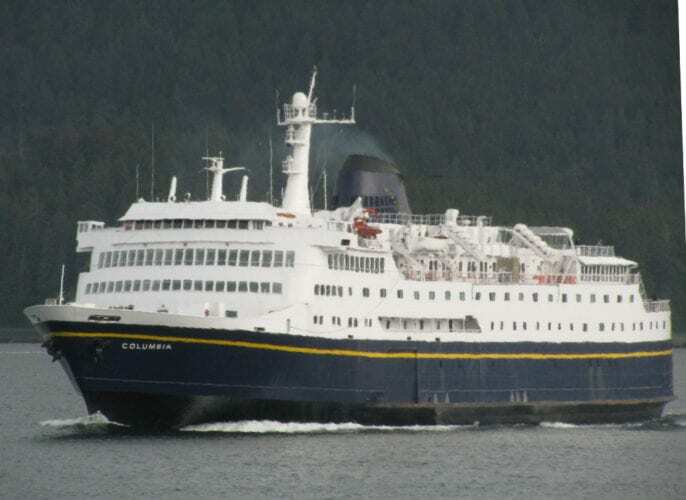 The 418-foot ferry Columbia was due to return to service June 28th with service from Bellingham, Washington to communities in Southeast Alaska. The vessel has been in a Portland, Oregon shipyard undergoing repairs to a propeller which struck an unknown object and was damaged last September. The Columbia was built in 1974. It can accommodate just under 500 passengers and 133 vehicles. The new target date for it to return to service is July 26th. The 408-foot ferry Malaspina has been filling in on the Columbia’s route and will continue to do so. But Bailey said there will be some impacts to people who have booked passage on the Columbia in June and July. The marine highway is contacting the passengers impacted by the change. A toll free number for more information is 1-800-642-0066 or online. The Columbia was stuck in Petersburg with mechanical problems last July stranding nearly 200 passengers. It was also pulled for propeller damage in August of 2015 after striking a log in the water. Earlier this month the ferry system announced another vessel, the Tustamena, would also be late returning from repair work.